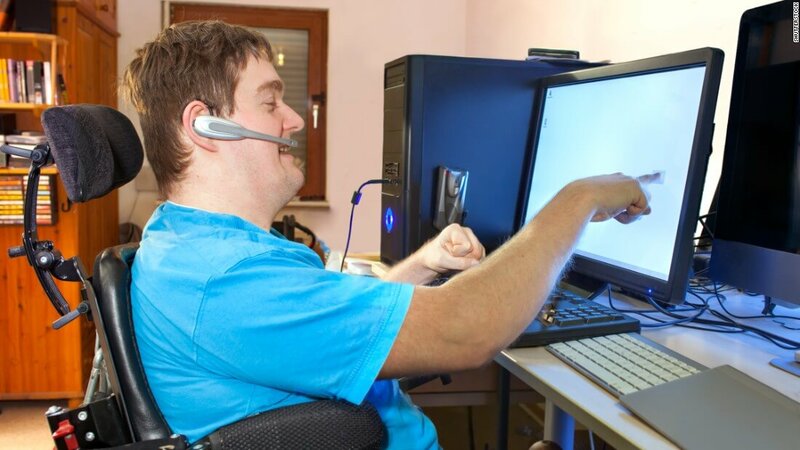 Attendees experience cutting- edge products and services for people with a wide range of disabilities. 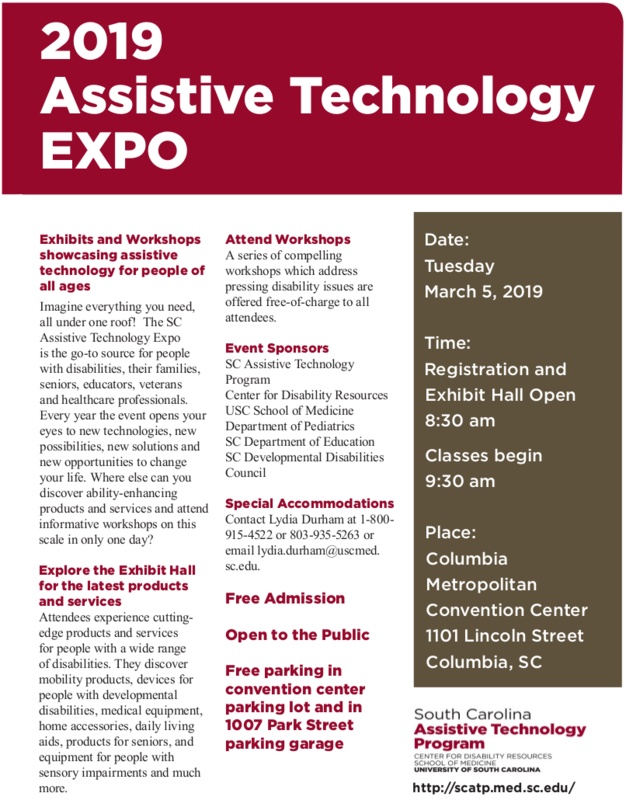 They discover mobility products, devices for people with developmental disabilities, medical equipment, home accessories, daily living aids, products for seniors and equipment for people with sensory impairments and much more. A series of compelling workshops which address pressing disability issues are offered free-of-charge to all attendees. Contact Lydia Durham at (800) 915-4522 or (803) 935-5263 or email lydia.durham@uscmed.sc.edu. Share the flyer below or this printable PDF version to spread the word.